Picture a young Matthew Broderick, lone teen hacker (using the 80s way of depicting them, breaking security measures,) bored to tears looking for a game. He found a supercomputer controlling all thermonuclear weapons in the US, and indeed did play. Sounds familiar? 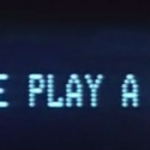 WarGames, a movie hit in the 80s. First Strike is its modern descendant, in mobile game form. 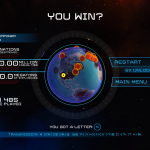 First Strike is a real time strategy (RTS) game, iPad only (also available on Android devices), where you control a nuclear power with the goal of being, essentially, last power standing. To do so you can launch “diplomatic attacks” to “conquer” (merge, join, however you may put it) neighbouring territories, enlarging the number of missile bases at your disposal. And of course, launching any of three types of missiles, with the goal of eradicating the enemy. Bear in mind, you can’t conquer the enemy powers: you have to wipe them out. 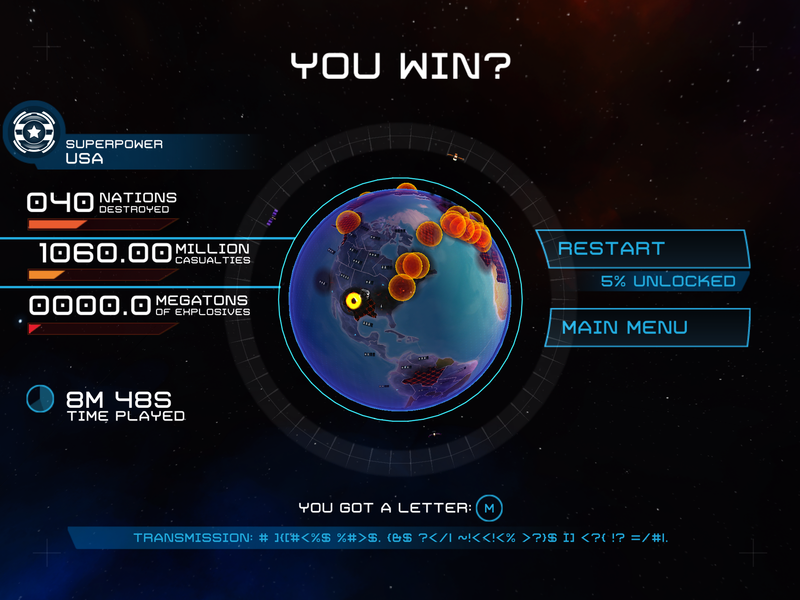 The controls are impressively fluid for a touch screen RTS game, as you can see in the gameplay video at the end. 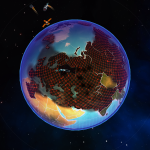 You control a rotating image of the Earth, where you can pinch, pan and rotate to choose next actions. Tapping in one of your controlled countries shows a neat, 3D overlaid menu with all your possible options (First Strike, Attack, Research, etc) while time slows down a little – to let you think and relax for a brief second. Once you give an order to a region, the order stands until completed. So your most essential resource in the game is time. There is no in-game economy, time is the most basic commodity. All orders given to a region consume time, and lock the region down until the order is fulfilled. The other commodity is space. You can’t build infinitely many missiles: each region has a certain amount of silo space, ranging from 1 to 5 missiles. 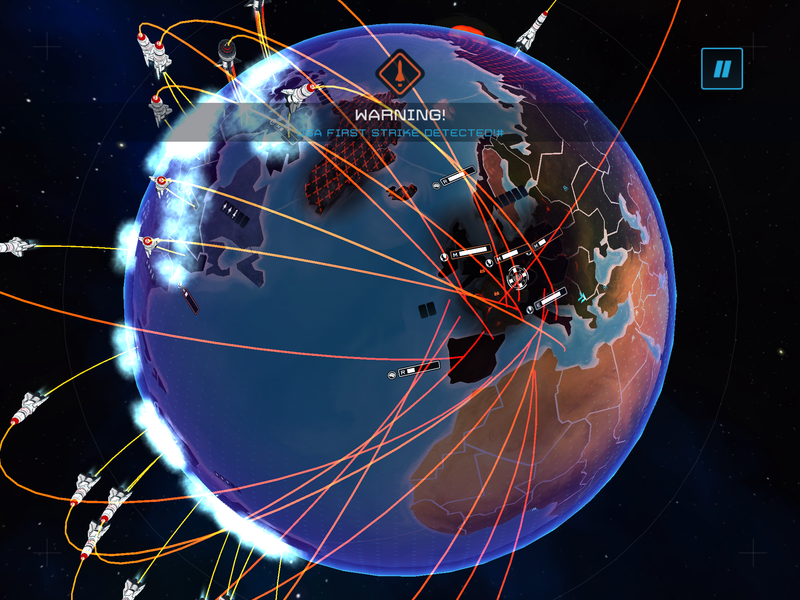 So, the logistics are easy: the more regions you control, the more missiles you can stock and the easier it is to remove your enemy from the face of Earth. Annexing neighbouring nations is done via the Expand command. It usually takes around 1 minute to annex a neighbouring area, the speed and effectiveness depending on the strength of your whole coalition. You can only expand into neutral or wasteland regions, so once you are border-to-border with another superpower, the fireworks necessarily have to start. Since there is a Research option, which can get slightly more powerful weapons/more effective game playing. The research tree is downright simple. Split in 4 branches: one for rocket technology, one for “intelligence,” another for industry and finally one for diplomacy. Each one has its perks, for instance, the last rocket level converts IRBM into 3-shot MIRV (Multiple Independently targetable Reentry Vehicles,) so every time you launch a IRBM, it strikes as 3 impacts. Research is pretty important if you want to win at the harder levels. For instance, Brazil starts with 2-missile bases, you’ll need a lot of research to get to the maximum of 5 missiles… Keep in mind all your rivals are doing it! There’s a final tool in your arsenal, the First Strike. You get this button when you have more than 9 missiles available, and it makes all your territories fire at once, with devastating power. Usually the enemy will retaliate, so always keep some defence ready (see the gameplay suggestions below.) You can First Strike with cruise missiles, IRBMs or ICBMs: all that can be fired will be. And you’ll feel pretty good the first time half of Western Europe disappears in a red mesh of simulated nuclear debris. What’s the point of nuking the enemy? Essentially, with each missile strike you either take out the military base and convert the region into a wasteland (this seems to happen when the number of missile silos is 2 or less), or reduce its maximum missile capacity in 1. 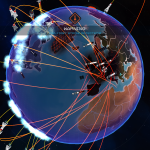 Since conquering/adding territories is more time consuming than nuking them, destroying your enemy territory should be your first goal within First Strike. 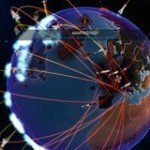 So, what’s our opinion on First Strike? It’s pretty good. The soundtrack is pretty good, the visuals are smooth and interesting, the controls are perfect. Gameplay wise, though, it still leaves something to be desired, see the gameplay recommendations below. Visually, it renders beautifully on my iPad Air, but when the number of missiles is large it lags ever so slightly. Adding online multiplayer would put this game as one of the best of this year, and it would also benefit from Game Center achievements and scores. Expand fast: Having more territory than your opponent has several consequences. First, you have more available ICBMs or IRBMs. Also, you have more cruise missiles ready to stop any attack: if you always keep some in your “outhermost” areas they will be able to stop most attacks before they get to the core of your territory. 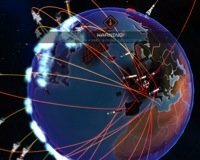 Stockpile on cruise missiles early on or wipe an enemy: For the first minutes of the game, either you wipe out a minor power (for instance, the US can easily wipe Brazil, Russia can do likewise with North Korea) or stockpile some cruise missiles. As long as you keep your territory safe AND expand, this is never a bad deal. 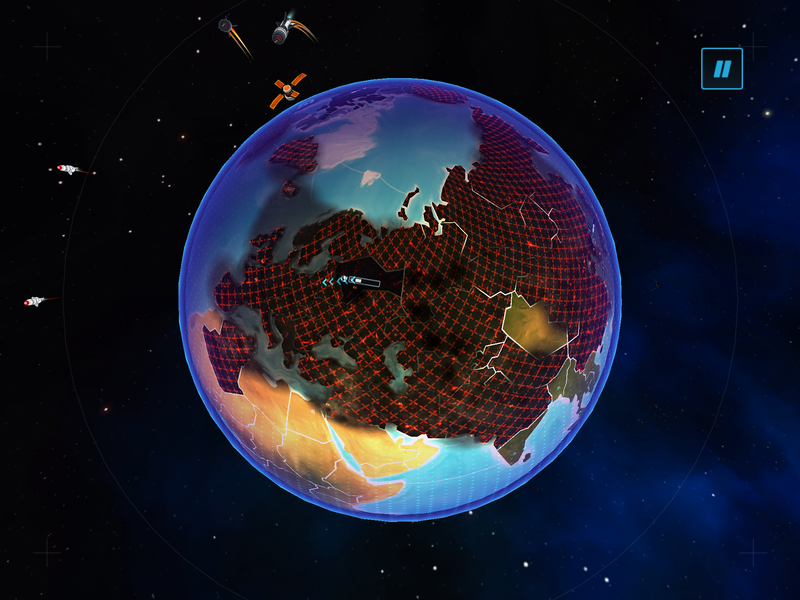 Always keep cruise missile-only regions: If you always keep some regions with only cruise missiles, you’ll have a barrier of defence against retaliation for your own First Strike. If you don’t, the missile cool-down on your territories after your First Strike will mean both your and your enemy’s First Strike will hit. The best move is not playing, in this case! Minimise available terrain for your opponent: Nuking a region reduces the amount of maximum silos it can hold… Even if there were none. So, you can target neutral areas before your opponent gets to them, rendering them useless. This is relatively interesting, since opponents will retaliate if you nuke them, but will ignore nuking another faction or neutral areas.